Mullein (which rhymes with sullen), with its striking yellow leaves, has a long history as a healing herb. It gained a reputation as a respiratory remedy very early and which endures to this day. Mullein was introduced to the North American continent by English colonists. It was quickly adopted by Native American tribes for treating coughs, bronchitis and asthma. In addition to treating asthma, coughs and bronchitis with Mullein, the English Eclectics prescribed it for treating tonsillitis, diarrhea, hemorrhoids and urinary tract infections. Contemporary herbalists recommend Mullein internally for treating coughs, colds, sore throat and a myriad of other respiratory complaints. Mullein’s proponents consider it a powerful bronchial congestion remedy and, at least for some asthma sufferers, has produced immediate and pronounced beneficial effects. Mullein, taken in teas and fruit juices, has been effective in immediately relieving asthma attacks in some asthma sufferers. Unfortunately, it has also resulted in absolutely no benefit or relief for other asthma sufferers. Scientists have been unable to isolate why Mullein is so selectively effective for treating asthma in some people, while having absolutely no effect with others. If you’re an asthma sufferer that hasn’t tried Mullein, you may want to. If you’re a part of the selective group that benefits from its properties, you can enjoy immediate relief from asthma attacks by drinking Mullein Tea or mixed in your favorite or drinking your favorite fruit juice mixed with Mullein Extract. Mullein is available for sale all over the world. It is available as an oil, dried leaves (for making Mullein tea), and as a tincture. Mullein is also known as: Candlewick Plant, Torches, Velvet Dock, Flannel Plant, Feltwort, Aaron’s Rod, Shepherd’s Staff, Lungwort. Hi I am new here. I am sorry if this is the wrong place for this post but I was hoping some one here on https://www.azmacare.com would be able to assist me to choose the right place to buy mullein. Hi, I am also an asthma victim with recent onset. I am a professional who works everyday and lives with symptoms that never seem to subside. I too read everything that is available on “how to” live with asthma without taking medications. 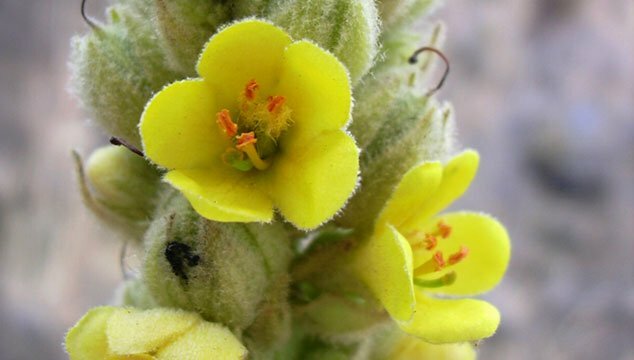 In Arizona, mullein is harvested from off-road sites that are considered clean (avoid heavy traffic areas). The younger plants are best for harvesting and one should avoid pulling plants from the ground as the young leaves are the best source for drying and making tinctures. The roots will also produce a new plant in the spring. As mullein does not transplant, the seeds are harvested in the fall and sown in garden areas. Growing up in the applachian mountain region, mullein was a household herb used for respiratory problems with both young children and older adults. Typically mullein was taken daily as a tea. Web sites are now available with instructions on making tinctures. Mullein can be burned in a small container and the smoke inhaled for immediate relief during an asthma attack (if mullein works for you). Cody, thanks for the opportunity to let others know that mullein can be safely harvested and used to prevent or lessen the severity of asthma. @Rancher >>>> Thanks for dropping by and contributing the great tips on mullein harvesting as well as correct mullein usage. I get a ton of traffic and emails from people looking for exactly what you’ve just provided! You’re more than welcome to come back anytime and share some more of your knowledge with us. Never underestimate your power to change yourself and help yourself heal! @ harleyguy: Agreed!!! Thanks for dropping by. Cody, The new research on tylenol type medications is beginning to take the front stage in asthma research. Go to “science daily” and look at the body of research. Researchers from the University of British Columbia, Vancouver, BC, Canada, conducted a systematic review and metaanalysis of 19 clinical studies (total subjects=425,140) that compared the risk of asthma or wheezing with acetaminophen exposure. The analysis showed that the pooled odds ratio (odds ratio for all studies combined) for asthma among users of acetaminophen was 1.63. The risk of asthma in children who used acetaminophen in the year prior to asthma diagnosis or in the first year of life was elevated to 1.60 and 1.47, respectively. Furthermore, results showed a slight increase in the risk of asthma and wheezing with prenatal use of acetaminophen by mothers. Researchers speculate that acetaminophen’s lack of inhibition of cyclooxygenase, the key enzyme involved in the inflammatory response of asthma, may be one explanation for the potential link between acetaminophen use and asthma. @ Rancher >>>> Thanks for your informative post! I will be looking into this >>> have not done much research lately in causes. I have been spending most of my time looking into herbal solutions. After reading your post, though, I will most certainly take a look at the “Science Daily” site and read through the research. Thanks for the heads up >>>> good info always helps! Please keep us posted, as this would indeed be a simple solution for many folks. I will also be doing some research into it myself. I’ve been using the generic brand for Mucinex with the decongestant and it seems to really help the ball of flem in the middle of the throat from the Asthma. I’ve also been using Breathe Right tea which has Mullein in it. It helps alot. I’m trying to stop using the inhalers. My wife and I have found considerable relief using several herbal combinations. 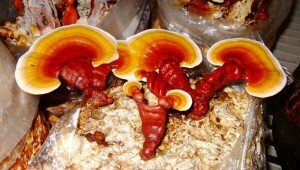 If you have some time, take a look at my articles on ASHMI, Phytocort and Lingzhi Mushrooms. They may be of some help to you. Good luck and say hello every once in a while! I live in Chesapeake, VA and have just recently noticed a plant in my yard that is everywhere and that a couple people have told me resembles young mullein. As I say, it is all over both front & back yards, and while the leaves are definitely fuzzy, they are not large, as some sources seem to indicate mullein is. In fact, some of them have a more tapered appearance. Is there some way I could send you photos of the plant in question so you could perhaps help me identify it as mullein (or something else)? Thanks so much for your help! I received your PM. I hope you received mine. I’m sorry I couldn’t be any more helpful!! I just started getting Laser acupuncture and taking mullein capsules for my asthma because I am also tired of using Symbicort. I am hoping it can do for me like I have seen it has done for a lot of people and help. I am 38 and was just diagnosed with asthma at 36 and it came on about a month after recovering from a major surgeery. Are the capsusels as effective as the oil or leaves? Thanks for dropping by! I’m not a doctor or medical professional, so I’m not the one to ask medical questions to, nor can I answer any medical questions. I can say that it is always best to be cautious and to please keep taking your medication unless you absolutely know and have verified that you don’t need it any longer! Please be careful. To try to answer your question about the mullein, from my own personal experience and everything I have read or heard, alot of folks are finding the mullein oil to be their personal preference (myself included). Can’t discuss your results as everyone is different and there’s no way to predict. I’d try every option and see which seems to work the best for you. Hope that helps. 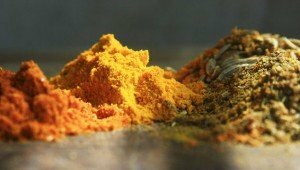 Cordyceps mushrooms cured my asthma. ( I use New Chapter brand ) I had been on Symbicort daily for years, to control my asthma, and wanted off it soooo badly. Found out about those mushrooms, started taking only two capsules daily…once in the morn. and once in the later afternoon on an empty stomach, and within 2 days… no need for Symbicort or my rescue inhaler! Been breathing free since! ( Feb. of 2013 is now 4 months! ) Still completely amazed and in shock! Thanks for dropping by and continued good health. hi im interested in combing dried mullen leaf with dried dutchmans breeches leafs. sence mullen is good for dyerea and dutchmans couses it will the two conter act each outher? If you’ve got an apothecary nearby your home or workplace, you may be able to get an answer there. Sorry I couldn’t be of any more help & good luck! I gathered today & plan to use the mullein leaves for my son’s asthma. He suffers daily and I am not on board with all of these new medications that have bad side effects. I sure hope it helps ! Thanks for stopping by. I hope that your son finds some relief also. Good luck & please let us know how things turn out. Also, please be very careful and be sure to consult with your son’s doctor or medical practitioner. Take your time and do as much research as you can. Different things work (or don’t work) for different people, so try not to get frustrated or desperate. As bad as the side effects are for your son, his medications are helping to keep him alive and breathing. How much Mullein Oil do you add to juice? I am so sorry for not getting back to you sooner! I am absolutely swamped at the moment. Still, I’m very sorry for the delay!! Mullein grows wild throughout the US as well. I have found it very prolific in Utah and the west both in the mountains and desert. It is not a hard plant to identify and find in the wild. Thanks for dropping by & you’re exactly right. Very common throughout the US. I’ve had a bunch of pm’s from folks picking leaves from mullein plants they discovered on the roadside &/or near hiking trails. Thanks so much for dropping by & I am very sorry to hear of your troubles. I personally have no experience with dealing with COPD, or with smoking mullein to help with breathing issues. Again, I’m very sorry I couldn’t be of much help to you, but I hope the links above will lead you to someone who can. Good luck in your treatment & I hope that you are able to find some relief. I’m drinking Mullein tea every day and it helps me with my anxiety problems!! Thanks for dropping by. Sounds like a winner – better breathing & less anxiety! I think with this post is very nice and very helpful and continuous with the article. Thanks CPC. Please drop by any time. Thanks Randy! Honestly, I’ve never even given that a thought. I suppose I should have!! I’m really glad you have found some value here. Your comments and goodwill help a great deal. Thanks for dropping by.